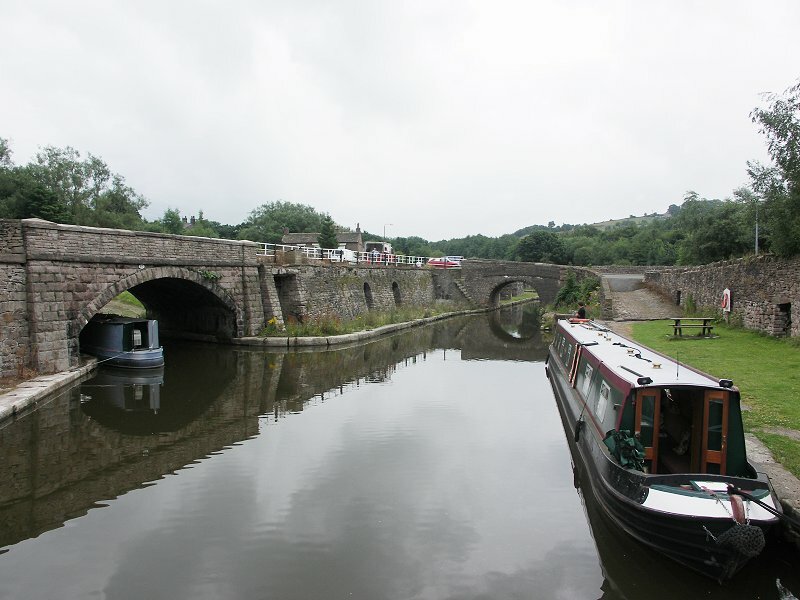 The Society were entertained in March, by the two-handed act of Ian Edgar and Don Baines illuminating the long, long haul along the road to the Restoration of Bugsworth Basin. The talk inspired several members to make a note in their diaries to visit the site, soon, if not sooner ! 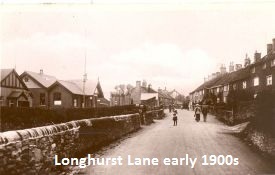 Following the brief, but important, AGM, Ruth Hargreaves and Ann Hearle gave an insight into the five year project to study Longhurst Lane, work undertaken by a dedicated team of volunteer researchers , to create the story of Moor End to Marple Bridge. 17th November: Steve Williams - Oh! What a Lovely War? 8th December: David Burridge - Where are we now? 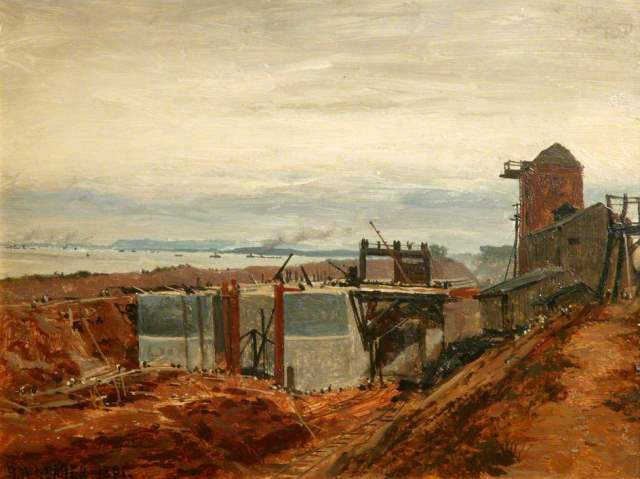 19th January 2015: Ann Hearle - Hollins Mill, who owned it? On September 15th the new season of talks and the new venue will see a curtain-raiser presentation from Ian Morgan. Ian will enlighten of the history of the A1 road. 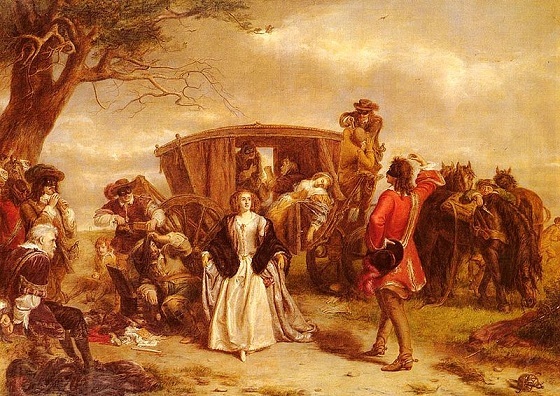 The A1 – renowned as being the route from London to Edinburgh has changed its path and even its name many times over the years, yet as the travellers pass on their way do they know just how fortunate they are? Ian writes “We shall see the scenes of horrific battles, the haunts of highwaymen, the sites of murder and much, much more… Get ready for a rollercoaster ride of horror and humour as the stories of this ancient highway unfold.” The A1 is the longest numbered road in the UK, at 410 miles (660 km). It was designated by the Ministry of Transport in 1921, and for much of its route it followed various branches of the Great North Road. The Great North Road was a coaching route used by mail coaches between London, York and Edinburgh. In 2013 Judith arranged a visit to Congleton and Ian acted as our host and guide. As well as showing us around the little gem of a museum, of which he is the curator, he also led us on a fascinating walk around the town. This time Ian returned the compliment by visiting Marple but he still had to sing for his supper. Rather than covering the complete history of Congleton he elected to concentrate on the last 250 years and show how the textile industry has shaped the town. November 17th 2014: Oh! What a Lovely War? 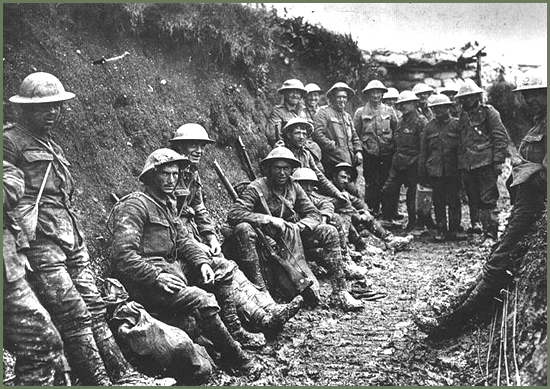 2014 has seen the commemoration of a century passing since the inception of the First World War. Our speaker in November our Steve Williams delivered a talk on WW1, ‘Oh! What a Lovely War?’. Oh what a lovely war? The question mark was important, Steve Williams, our speaker for the evening, assured us. Steve is an expert on the First World War and leads tours there but his object this evening was to put the conflicts of the war into an overall context and to show some of the realities of the “War to end all wars.” - Quite a challenge to cover four years in just over an hour. Read more: November 17th 2014: Oh! What a Lovely War? December 8th 2014: Where are we now ? Our December meeting broke new ground. We had three of our members giving short introductory talks on subjects that interested them. Anthony Burton began proceedings with a novel approach to a familiar subject – Samuel Oldknow as an architect. His thesis was that, although there was no architectural style associated with Oldknow there were certain design features that were commonly used across many of the buildings. 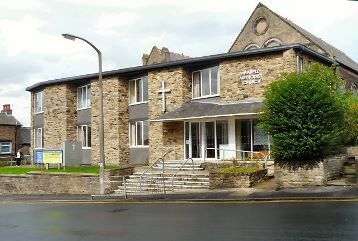 The only building that we know had an architect was All Saints church where Robert Goldsmith was in charge but there is a continuity of design across all Oldknow’s buildings in Marple that would suggest a clerk of works or a master mason working closely with Samuel. Read more: December 8th 2014: Where are we now ? January 19th. 2015 Hollins Mill, who owned it ? Hollins Mill, four storeys high, 30m long and 15m wide, stood on the site that is now occupied by Hollins Parade and the Co-Op store, soon to be Asda. 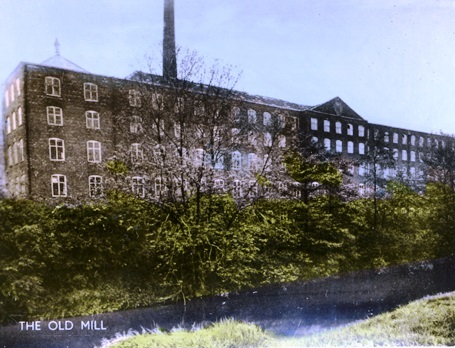 For our first meeting in 2015, Ann Hearle, author of our latest publication, ‘Hollins Mill, The heart of Marple for over one hundred years’, will took us on journey through the history of this lost landmark. During our travel through that evening, Ann enlightened us on the workings of the mill, its impact on the history of Marple, how workers and the mill were managed, the owners of the mill, and the fate of these owners and the mill. Read more: January 19th. 2015 Hollins Mill, who owned it ? What a choice! What was it to be? United versus Preston North End in the Fifth Round of the Cup or David Frith talking about his native Longdendale? 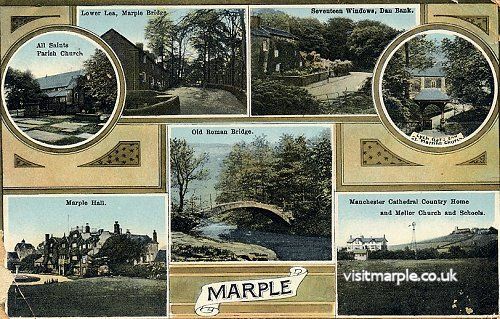 For 101 members and visitors to Marple History there was no contest. David Frith, of course. And David did us proud. It was not so much a lecture as a love poem, conducting us from Woodhead to Mottram with many side excursions on the way. This many-faceted transport corridor has seen huge changes over time but particularly in the last two hundred years. Historically the valley formed the panhandle of Cheshire - the thin piece of land that projects towards Yorkshire.To prove the point, the upper reaches of the Etherow is known as Salter’s Brook. Judith Atkinson began the talk with a health warning - disciples of Health and Safety might find some of the scenes disturbing. In the event no one chose to leave the auditorium and it was just as well because they would have missed a fascinating description of an engineering marvel. When it was opened on 1st January 1894 it was the largest river navigation in the world and even today it is still the eighth longest ship canal in the world.There are plenty of superlatives to attach to the project including the cost overrun from £6.5 million to £14.5 million but Judith concentrated on describing the actual building of the canal with the benefit of an engineer’s eye. As the curtain came down on the History season at the April meeting, following a brief AGM section, we went behind the curtains – the curtains of Marple Hall. 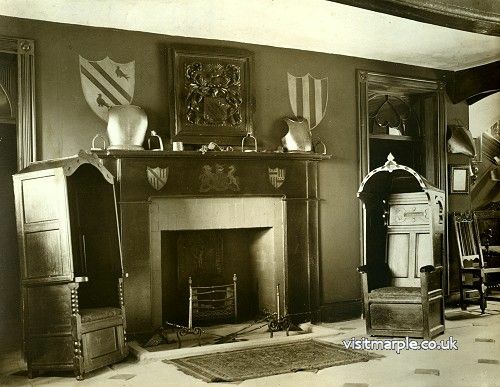 Although the Hall is long gone, Neil Mullineux took us on a visit to the hall. He guided us through the main rooms, revealing the richness of the lost interior. A local version of the Antiques Roadshow. Not only that but sale prices as well! How much was paid for a suit of armour or the bed that John Bradshaw actually slept in? And is it all truly lost? Where are these items now? What happened to the stained glass? And the unique French tapestries? If that is not enough to whet your appetite there may be one or two tales about the people who lived there. What happened to the girls who were rude to their new stepmother? Who was the man who married for money and got his comeuppance? The new season of talks will begin with a presentation, on the history of the English Longbow, by Bernard Dennis.The first meeting of the year is always busy with new members signing up, current members (I nearly said “old members” but that wouldn’t be right) renewing their subs and a crowd around the bookstall looking at the latest publication. However, what were we to make of a stranger bringing a couple of fearsome-looking bows and a quiver full of vicious sharp pointed instruments? We were about to call the police but he then introduced himself as the speaker for the evening - Bernard Dennis.